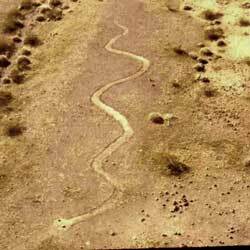 Earth Figures ( called geoglyphs or intaglios ) are a rare and unique type of site found only in the driest deserts of North and South America. 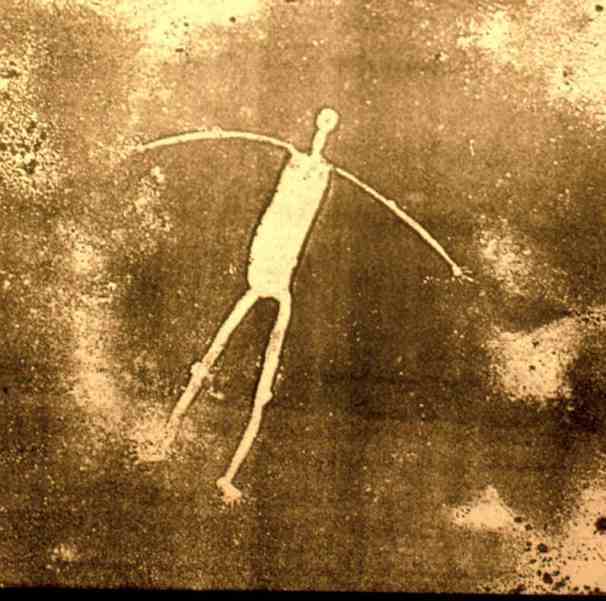 These often huge figures are found in desert environments where open "desert pavement" gravel surfaces are present. Only two such deserts are found in the Americas: The region of the Lower Colorado and Gila River Basin of CA and AZ, and in the Atacama desert of southern Peru and northern Chile. 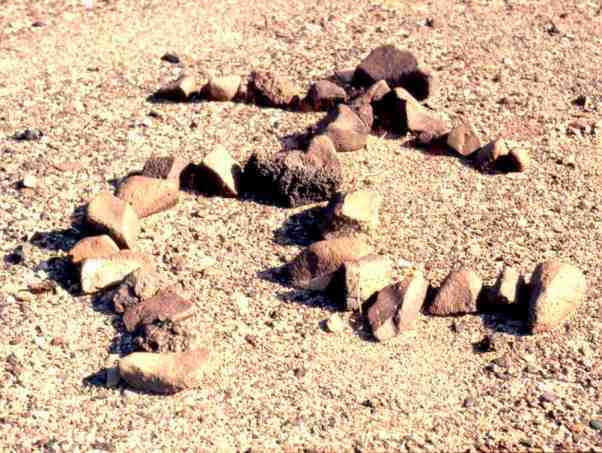 Typically, these earth figures were made by scraping back the darker surface gravel to reveal the lighter subsoil. Until recently, these Native American earth figures have been mostly a mystery to the public and archaeologists alike. During the past two decades, not only have many new sites been located, but their origins, meanings, and cultural functions have become more clear. 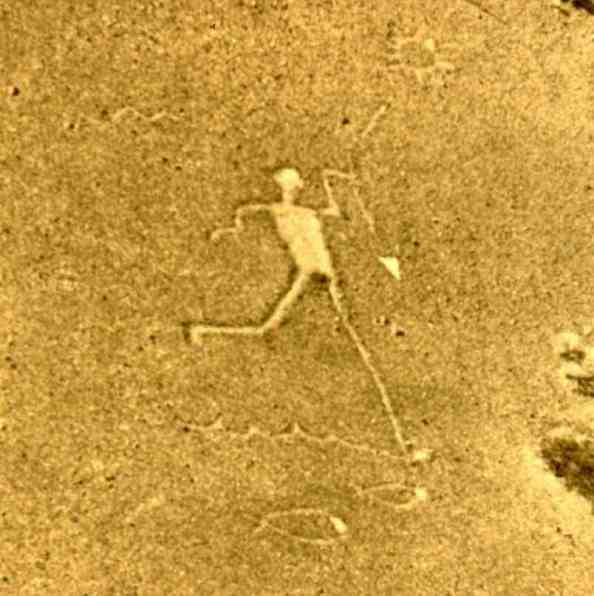 Rather than being used by some "ancient astronaut" for navigation as some have suggested, these geoglyphs are very much a part of the culture of the Native Americans of these desert regions. Like rock art, these figures are NOT simple doodling, but were made for communication. Continue on to Geoglyphs Part 2 for more information about The Fisherman Geoglyph.